Small Kitchen College » One Tequila, Two Tequila, Three Tequila…Floor! One Tequila, Two Tequila, Three Tequila…Floor! Cinco de Mayo is the ultimate excuse to drink margaritas, take tequila shots and eat chips and salsa. However, I don’t like frozen margaritas, and I don’t like to chase my tequila shots with salt and lime. This makes celebrations a little bit more difficult for me, but only slightly, because I’m nothing if not resourceful. The shots part is easy enough to fix. Instead of limes and salt, I like to use oranges and sometimes a little bit of cinnamon. My substitute for margaritas is called an agua fresca, which means fresh water in Spanish. It’s a traditional Mexican drink (unlike the margarita), and it tastes better, has fewer calories than a margarita and is just as easy to make. There are all different kinds of agua frescas. You can make them flavored with watermelon, cantaloupe, cucumber, strawberry, etc. The general principle is the same: blend fruit with a little bit of water, strain if you want, add more water, sugar and lime juice. My favorite is the watermelon agua fresca. The recipe is really just a guideline. You can adjust the sugar, lime juice to taste. To make the agua fresca special for such a special holiday I add tequila at the end! 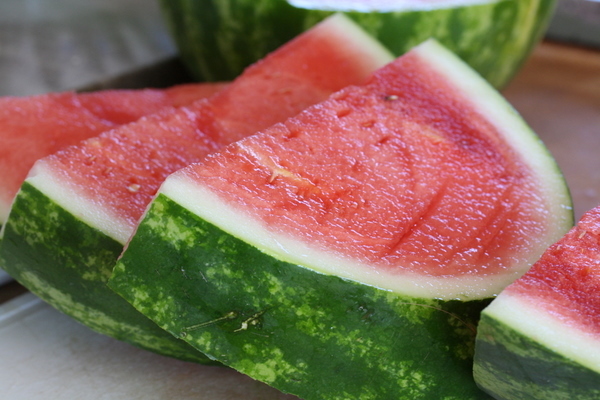 Blend the watermelon with 3 cups of water. Strain, if desired. Add remaining water, sugar and lime juice, then chill the mixture. Once chilled, add tequila to big glass and top off with watermelon agua fresca. Enjoy with BGSK’s Cinco De Mayo Cocktail Party Menu!